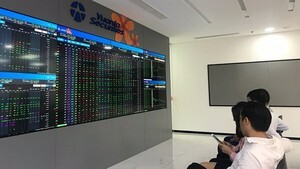 The stock market fell again today, with the VN-Index down by 8.63 points to close at 564.82. About 11 million shares worth a total of VND518.9 billion changed hands. Some 104 stocks fell while 32 rose. Phu My Fertilizer and Chemicals (DPM), Saigon Securities Inc. (SSI), and Sacombank (STB) had the most actively traded shares. Two million shares of Sacombank changed hands. Blue chip stocks like Vinamilk (VNM), Imexpharm Pharmaceutical (IMP), Kinh Do Food (KDC), Minh Phu Seafood Import-Export (MPC), Thu Duc House (TDH), and Vincom (VIC) continued to gain in value. Hau Giang Pharmaceutical (DHG) climbed by VND6,000 per share and Vinamilk by VND4,000. DPM, Vinpearl Tourism and Trading (VPL) and Tan Tao Industrial Park Developer Group (ITA) remained unchanged. 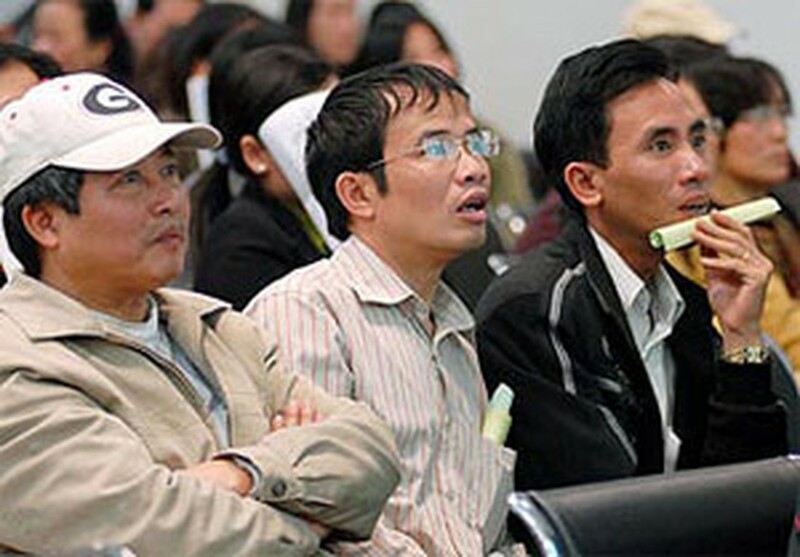 Petroleum Services and Drilling Company (PVD) was down VND1,000. Song Da Urban and Industrial Zone Investment and Development (SJS), FPT Corporation (FPT), Sacombank and Pha Lai Thermal Power (PPC) kept falling. Most of the shares traded this morning were sold by organizations. Foreign investors were not interested in stocks, but bought bonds designed for professional investors. In Ha Noi, the HASTC-Index fell by 1.61 points to close at 196.17, with 4.1 million shares worth a total of VND204.4 billion sold.